You’ve probably been told that coffee, strong tea, sodas, and alcohol aren’t so great for IBS, but they aren’t the only drinks in the world. A smoothie is defined as a blended fruit drink, but it can be so much more. A smoothie meets the needs of people who are in a rush, and in the case of IBS, it’s a concentrated food source in only a few ounces. And only drink a few ounces at a time. Then put your drink in the fridge or keep it in a thermos at work and sip it throughout the day. That way you’re giving your intestines enough time to digest it and extract the goodness, ensuring you get the most nourishment possible from your smoothie. Most people think of bananas when they hear the word smoothie. Bananas are high in potassium and help reduce hypertension, but you may have heard mixed stories about the benefits of bananas for the bowels. So bananas are really like a bowel cure-all. Try them either ripe or unripe and see how your body responds. This recipe is tasty and smooth way for IBS sufferers to start their day. It features the all-powerful banana as well as spinach and almond butter. Bananas offer many IBS benefits; raw spinach is high in soluble fiber when you blend it. Almond butter in its creamy state doesn’t irritate the intestines. Cut up the bananas and spinach. Per serving: Calories 163; Fat 5.2 g (Saturated 1 g); Cholesterol 0 mg; Sodium 61 mg; Carbohydrate 29.7 g (Fiber 4 g); Protein 3.3 g; Sugar 14.9 g.
Making a meal doesn’t have to be a big deal. You don’t have to turn the kitchen upside down and get out all of your pots and pans to make breakfast, but you do need breakfast. 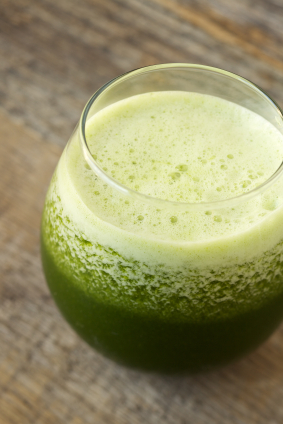 This Safe and Soothing Smoothie helps keep your blood sugar up while soothing your stomach. You can experiment with two to three of the ingredients in this recipe, and later, with the help of your food diary, you can substitute different ingredients that are on your safe list. With all the mixing and matching possibilities, you have a dozen recipes at your fingertips. Keep it simple, though. Don’t make an “everything but the kitchen sink” smoothie that can cause some intestinal distress. Stick with a few ingredients and keep a record of what your body likes and dislikes. As you experiment, you can also adjust the amount of liquid to reach your desired consistency. Put the banana, strawberries, hemp seeds, and pea powder in a high-speed blender or a food processor. Add the liquid, making sure all the ingredients are covered, and blend well. Taste the blended mixture and add sweetener to taste (if desired). Give the mixture another quick blend to incorporate any sweetener. Per serving: Calories 361; Fat 11.3 g (Saturated 1 g); Cholesterol 0 mg; Sodium 13 mg; Carbohydrate 46.7 g (Fiber 7.9 g) Protein 23 g; Sugar 22.9 g.
Like bananas, apples are a food that can swing both ways in treating IBS. Raw apples are high in pectin and fiber and can help bring fluids into the bowel and treat IBS-C. Apples in applesauce form treat IBS-D, according to the well-known BRATTY diet (bananas, rice, applesauce, toast, tea, and yogurt). Put all the ingredients in a blender or use a strong hand blender. Per serving: Calories 75; Fat 3 g (Saturated 0 g); Cholesterol 0 mg; Sodium 13 mg; Carbohydrate 19.3 g (Fiber 3 g); Protein 4.1 g; Sugar 12.9 g.